Welcome to The Whapio Wire! This is where I share the details of my recent journeys…where I comment on the passing of time and the changes it brings. and where we touch the mystery. and look forward to the turning of the Year. As this year closes I have to say…I am on fire! No doubt that 2017 was a challenging year…for me, maybe for you, certainly for a lot of folks. But that’s okay for me. Because I have had an Epiphany. As this year closes out I have been anxious to do something radical. Things aren’t working and I’m poised to tear down what’s not working and rebuild? NO, not rebuild. That’s part of the problem…always trying to rebuild something on top of ground that’s gone toxic. What’s been coming to me is BURN IT DOWN. Get rid of it for good. And then, DO NOTHING. Don’t replant, rebuild, re-seed, reconstruct, remodel, redo…none of it. Like an empty field that has been alchemized by fire, something of great value and relevance will seed itself. We don’t need to fertilize or water the field, or fence it or protect it. We just need to walk by every now and then and witness what the field is bringing to us. Einstein says that the problems we have today cannot be solved by the thinking that created them. Take these problems and burn them down and then watch and wait. New ways of thinking will be seeded within us and we will experience an alignment not seen in the world for eons. Any arena in which a high-risk group numbers more than 15% is clearly in danger of gross misalignment with health and well-being. For instance, if in your garden over 15% of your plants are sick and dying, then clearly, something is amiss. Consider your gardening techniques and change them…radically. If you own cattle and you are losing over 15% of your herd, stop doing what you’re doing (or not doing) and change radically. If you are a teacher and over 15% of your class is failing, consider changing your technique before you blame the students. natural process and we must change them…radically. No blame need be laid. Let’s just look for another approach, another solution. And rather than rebuild over toxic ground let’s go back to square one and Watch and Wait. We are creating a world that caters to high risk. For instance, it is well known in medical circles that hemorrhage is on the rise…dangerously so…up to 50% of women. Doctors are concerned and putting their heads together to find a solution. And here’s the accepted solution…more management and more drugs. The thinking that created the problem is not going to be the solution. Instead of finding a solution we are normalizing the problem. 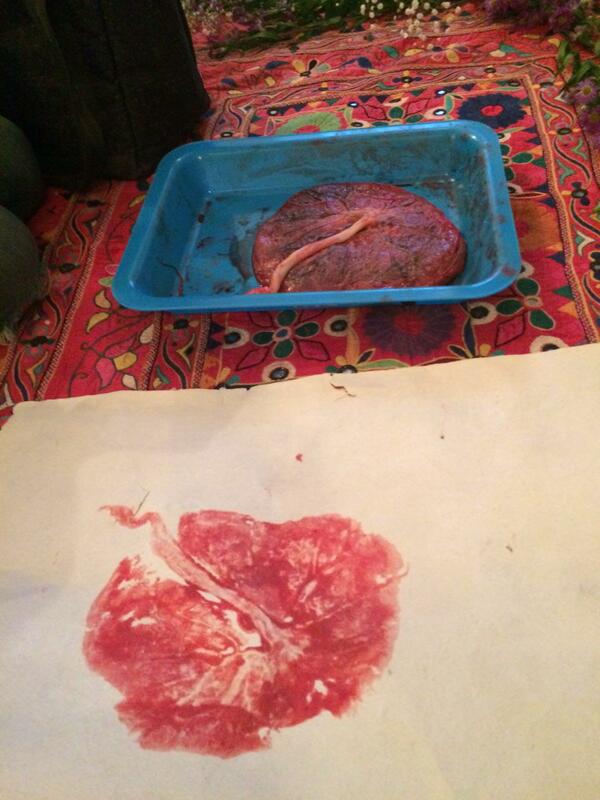 Hemorrhage is now being considered as a normal consequence of birth! Perhaps we just need to burn all the outdated, useless, enfeebling obstetrical thought and procedures right down to the ground, right now. that will guide our lives and our births. And, like any energetic experience, the more we need it, the faster it will happen. alignment and radically pull some weeds. And then watch and wait and witness what becomes seeded in me. The ideal place to review where we have lost touch with universal alignment is in the arena of birth. if they saw how we give birth in the Westernized world. They would immediately understand our collective world view and realize they landed on a dis-aligned planet. So, what if we started at the grassroots level and decided not to need to manage birth at all for the 85% of women who are normal and prefer not to be managed. Let’s take birth back to square one…where it was not a clinical or medical experience but a natural, physiologic rite of passage into Matrescence and Transformation. And let’s do it, not talk about. And let’s do it NOW. I want to share with you how exactly this happened…and why. but firmly, that we keep women out of hospitals. A bit later she mentioned her idea about each hospital having an adjacent and accessible birthing center rather than a maternity ward in the hospital so that women did not enter hospitals to birth except in an emergency. Naturally, it’s occurred to me over the past 30 years that many women could have more safe and satisfying outcomes through an out-of-hospital birth experience but it didn’t occur to me until that moment to consider home and/or out-of-hospital birth as a MAJOR option. I figured that we would still have hospital birth as the major option for years to come and one of my ‘jobs’ in the realm of birth was to teach doulas and birthtenders to gracefully, courageously and patiently help families navigate those hospital waters. That was my homage to ‘realistic’ even though my visions told me something beyond realistic is possible. Realistic is relevant but not visionary, nor does it satisfy my need for mystical intelligence so, I am no longer in the thrall of only what is realistic. I am a realistic visionary. I want my visions with an undergirding of reality otherwise they are spacey and I want my reality undergirded with visions otherwise it’s flat. And we are neither spacey or flat. I realize that in hospitals, while some things are getting better (no more labor wards, rooming in with the baby, breastfeeding consultations etc…), the misuse of rank, power and privilege is becoming more insidious. My vision has always been to return square one where women birthed with people who were intimately invested in them….where women were nurtured, not managed…trusted, not screened…affirmed, not disrespected. Returning Birth to the Family has been the hallmark of The Matrona since 2001. Keep women out of the hospitals! YES! What if, in a family-directed paradigm, the vast majority of normal healthy women (85%) gave birth at home if they so desire. Women who really wanted to leave their home to birth, for whatever reason, could birth in the birthing centers and women who truly showed the need for high risk care and emergent situations could birth in the hospital. If women are going to leave the hospital model in droves, as I hope they will, doctors will remain for the 15% high risk clients, midwives will be available to staff birthing centers but then who will be available to assist women at home? Midwives, yes…but many women want something different in their midwife than is being offered. Many women inherently believe that they do not need a trained clinical or medical caregiver. Many women want YOU…doulas, who are also birth attendants. Doulas who do not describe themselves as clinical practitioners but rather as deeply connected women who can accompany and hold space and not interfere. Doulas who understand birth as the Grand Midwives did and have a wealth of practical information that can be combined with the holistic. Normal birth does not need to be a clinical or medical experience. This is the matrix of my epiphany. Not that this is the first time I ever thought this. The epiphany is that NOW is the time to proclaim this from the rooftops and gather birth attendants to serve families who are ready to become self-directed. What if we brought back what is truly physiologic and resonated the deep rooted blueprint of instinctive birth. Would we see something universally different come into fruition…maybe not in this generation, but in the next…and the next. You may feel that family-directed, instinctual birth is not a realistic future but I know it is. It is sustainable, natural, accessible and universally founded as well as safe and fulfilling. The Unassisted Birth/Free Birth community has shown us that. I urge us not to cloud our ideals and visions and pretend that those visions are out of our grasp. Now that the education of midwives has moved mainly into the university clinical model, we are on the verge of having a monoculture of birth where there is only one way for birth to unfold in the system. Naturally, women are not going to be satisfied by one approach, one style, one right way to give birth. Another insight from Djifa…women are pushing us forward to expand the role of caregiver and challenge us to rise to their needs. I am seeing more and more women that want a doula as a birth attendant…someone to sit with them, have their back and not interfere. I see these ‘birth attendant doulas’ as not offering clinical skills or tools or claiming to be obstetrical/midwifery practitioners but as having a deep knowledge of physiology and being confident and capable to recognize complications. I see these ‘birth attendant doulas’ as having practical knowledge and skills and the understanding of when to transfer to another location and when to handle what is in the moment. In this family-directed model, the family takes responsibility for the birth and the attendant is totally transparent about roles and responsibilities in this experience. Naturally, not all doulas will want to expand the role of doula to include sitting at birth with women in the capacity I’ve described but why would we deny a woman the privilege to orchestrate her birth according to her own wishes. The Unassisted Birth community and the Free Birth community have shown us that birth does not need to be a clinical experience. Women from these communities have attendants that are not clinically trained but have the wisdom of the Grand Midwives. Let it be said that there are many wonderful midwives who give women exactly what they ask for. I elevate them in gratitude, respect and love. Midwifery practice is it’s own story. Midwives are finding their way through models of education, scope of practice and how to adjust to a fluid and changing birthworld. I am not invested in attending to that process. I am invested in the next step…family directed birth with responsibility and transparency as pivotal points and with deeply connected women who can accompany, hold space and not interfere as attendants. This is for doulas and birth attendants called to serve families who wish to be autonomous and direct their own care and who wish for deeply connected women to accompany them. Doulas, YOU are the modern-day Grand Midwives and they reach out to bless you. There is no more waiting for the right season to initiate a new birthkeeper. IT IS NOW. I am on fire and I will happily educate any woman/doula/birthtender who wishes to learn physiology, practical skills and the consciousness of birth and I am overjoyed to add that to the repertory of what The Matrona can offer. I am committed to bring a truly new paradigm…family-directed birth…sooner than later. And yes, it is a dream, an ideal…and I stand with some of the great dreamers who proclaimed that they had a dream and worked for it to become reality. As one family, 10 families, 100 families move to embrace this paradigm of instinctual self direction, it is the natural order of the universe to to grant it life. As 10,00 families, 100,000 families embrace this paradigm it is the natural order of the universe to support this life. As millions of families embrace the understanding that to be human includes a physiologic basis of self-direction, trust and knowledge of the soul in life and in birth, it is the natural order of the universe to elevate this paradigm of life. A huge thank you to everyone who has supported Conscious Caregiving and Undisturbed Birth over the past 17 years. The ideas put forth by The Matrona that support the autonomy of women and families will continue to grow and thrive. There is a new Season of Birthing Wisdom upon us and no one can stop the world from turning or halt the conscious evolution it brings. 2016 has brought some new options at The Matrona. We have changed our website a bit to reflect the addition of Quantum Wisdom Programs and Homeopathic Programs to our repertory of offerings. When you enter our site now you will see three buttons…Birth, Healing and Wisdomkeeping. The Birth button will take you to our Holistic Midwifery and Doula offerings. Healing will take to to our Homeopathy offerings and the Wisdomkeeping button will take you to our new Quantum Wisdom programs. Wisdomkeeping speaks to the aspects of holding transformation that are specific, not only to birth, but to all communication and healing on the planet. We engage discussion of altered states of consciousness and transparent communication. We address woundology, rank and privilege, conflict resolution, collaboration and co-creation, holding transformation and cultivating eldership. We call this body of knowledge Quantum Wisdom and you’ll find a number of new programs in the Wisdomkeeping section of the website. We’ve been offering these programs in and around the Asheville, NC area and we are ready to branch out and bring these programs to your community as well. We offer Women’s Quantum Retreats and a Holding Transformation Weekend Programs for all Healers. We are also offering a three-month, on-line program called Holding Transformation for Birthkeepers for Matrona Alumni to deepen their studies and for those who wish to participate in a Matrona experience. 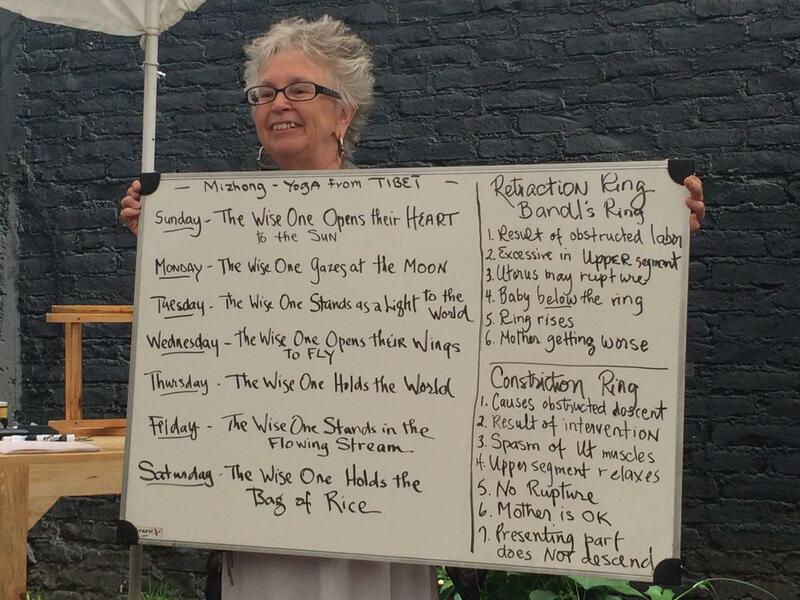 And, for a further deepening of the Matrona Wisdomkeeping experience we are offering, in Asheville, an on-site program called Cultivating Eldership Within Ourselves. We invite to check out these new offerings on our website and let us know what you think. You’ll be hearing more about our Matrona Foundation as 2016 unfolds. We aim continue to offer Holistic Doula programs throughout the country at no cost to those who are financially marginalized and do not have the resources to pay for classes. Please stay tuned to see how you can join our Foundation and sponsor classes in your area. 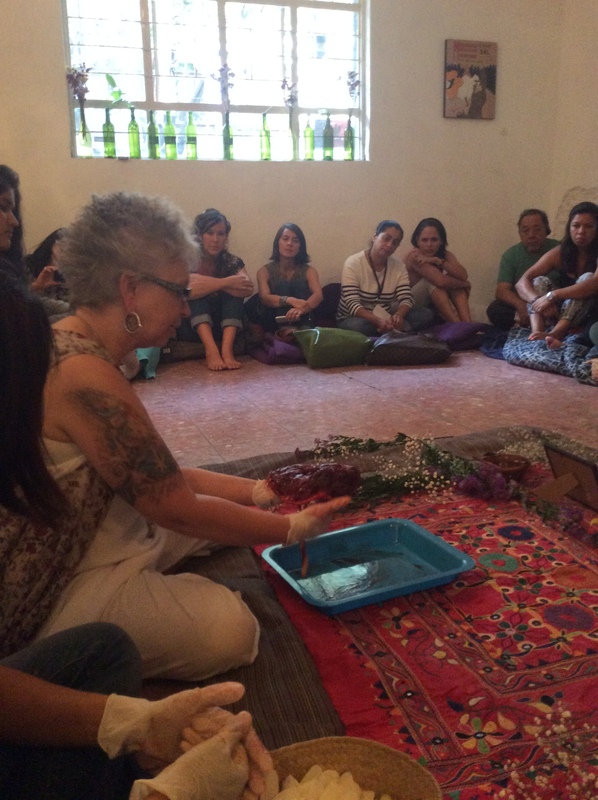 And, of course, The Matrona continues to offer Holistic Midwifery Programs. Our year-long Correspondence Course has started recently and we have some truly amazing students joining us. Over the years I have received numerous requests to make available some of our lectures and classes in the Quantum Model. We recently videotaped a Correspondence Course webinar on Evolving Models of Care and I’ve decided to offer this to a wider audience so you can share in a bit of what we value and learn in our programs. Right now we’re offering an hour and ten minute video for sale. In it, we discuss the history of modern childbirth by describing the models of care that have evolved from the technocratic through humanistic, into holistic and now quantum. This is a perfect video to understand the hallmarks of the Quantum Paradigm and to be able to articulate our journey through caregiving. If you’d like to order the complete video… Evolving Models of Care for $18, contact Siobhan at matronarichmond@gmail.com and place your order. A huge thank you to everyone who has supported Conscious Caregiving and Undisturbed Birth over the past 15 years. The ideas put forth by The Matrona that support the autonomy of women and families will continue to grow and thrive. There is a new Season of Quantum Wisdom and Quantum Midwifery upon us and no one can stop the world from turning or halt the conscious evolution it brings. Wishing you the Blessings of the Season and a Happy New Year! We are happy to share with you the means whereby we can practice excellent midwifery care without the need to be licensed, certified or governmentaly regulated. with families in the private sector. This is actualized by creating a PMA- Private Membership Association This legally guarantees people the ability to give and receive care in a transparent and respectful model, with autonomy for both parties. Lately I have been doing some writing and processing on the essence of Quantum Midwifery and the multi-sensual, multi-dimensional world that we are firmly planted in now. I hope you will take a moment, to hear me explain in my own voice, a part of what Quantum Midwifery and Caregiving means to me. Most often, in midwifery, what it really does boil down to is this question… do I honor and follow my inner wisdom or do I follow my protocols…and, how do I align these two… especially when I am in a public practice or licensed or affiliated with a specific organization that has protocols. I remember once my son came to me when he was about 12 years old. I could see that he had been thinking hard about something and was puzzled. He asked me, ‘Mom, should I listen to you or should I listen to myself? Because sometimes the things that you tell me are different from the things I feel and tell myself’. I was really blown away because here was my son trying to figure out the same question. Do I listen to my inner wisdom or do I listen to the protocols and guidance of my mother? And I was so amazed that he could actually articulate his dilemma and come to me for advice! I told him to always listen to his inner guidance and, while I would always have his best interests at heart, his inner wisdom and internal compass would always be his most reliable navigator of this life. I also told him that I hoped that I would always be a person to whom he could come for guidance if the need arose. So, when I transpose this experience with my son into the realms of caregiving and midwifery it makes me wonder if, in our birthing culture, we really do have the best interests of the pregnant family at heart. If so, it would seem that we would support the innate wisdom of the mother and allow that to trump any protocols we have. Our protocols of care would take a second seat to the mother’s intuition and insight. Prenatal care would be a time of exploring a mother’s wisdom and encouraging a woman and her partner to express their deepest dreams and desires and knowings, and fears too. A time of listening, not prescribing…of educating, not risk screening…of support, not anxiety. I fear that we have our own interests in being ‘right’ as paramount. We are a fractured health care system, fighting each other, shaming each other, pulling rank to hold position…and then saying it’s for the good of the childbearing family. Love for someone and fear for someone are not the same. At The Matrona we will continue to speak about how midwives care for women. listen to the midwife, not themselves. or from a misplaced sense of control. depth in the current education of midwives. Midwives are taught to ferret out complications and would easily spend an hour testing a mother rather than having lunch with her. Do we see that nurturing a mother resonates the template for a mother to nurture her child. What could be more natural, more normal. And do we see that not nurturing a mother, giving her risk screening and anxiety when she came for information and support, is detrimental to maternal child wellbeing? The average woman may be just that…average and normal, healthy and fine. And the average pregnancy…is it not the same? My son was normal when he came to me so why would I treat him as if he wasn’t and give him an answer that wasn’t respectful of the person I would wish him to become. The average pregnant women is fine, the average labor is fine. We can see this when our experience is more than just the fearful ‘what if’. When we see the metaphysical background of the world we live in, when the education of a caregiver…doctor, midwife, parent…transcends the gravity of ordinary reality and exposes us to the deeper levels of mystical intelligence and soul-level connections, then we trust ourselves to trust each other. Then, we give our wisdom, not our protocol. The next time you’re about to give a pregnant woman advice, ask yourself, is this something I believe, something I would tell my daughter, or is this something someone told me I had to say. And take it the next step…do I really believe, in my deepest place, what I was told to say is the only right way…or do I think there could be another way. Of course there is another way! There are infinite ways. When we look for them, we are Quantum. First, there is no mystery about why I love Mexico. Recently, my friend in Mexico, Evelyn, invited me to dinner at her home so she could share her most precious treasure with me…her family. During our dinner time she asked me what I like most about Mexico. I immediately thought…YOU, EVELYN…you bringing me home to share your family with me…that’s what I like best about Mexico…the people here who are alive and vital and love their children and their parents…and their guests. 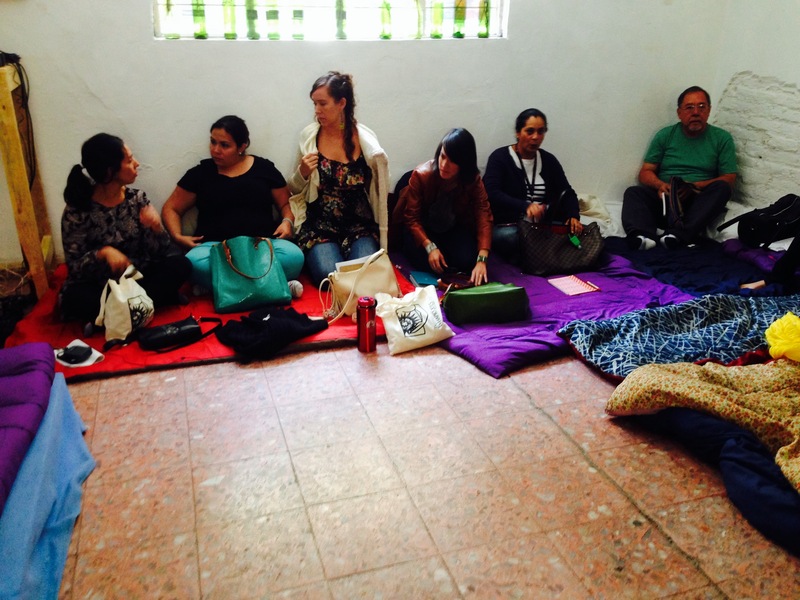 I was invited to Mexico this August to provide a Holistic Doula Program in MXDF. 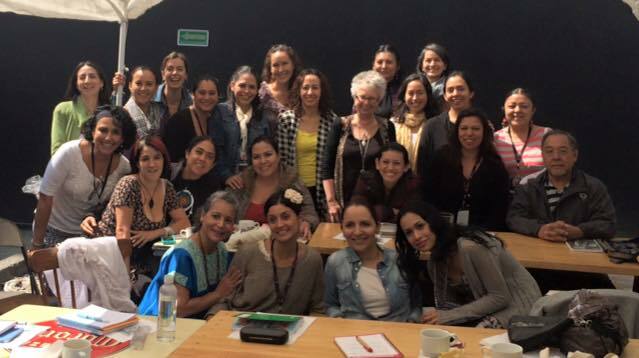 I was also asked to offer a weekend program, also in Mexico City, for practicing and aspiring midwives on Handling Complications in Practice. 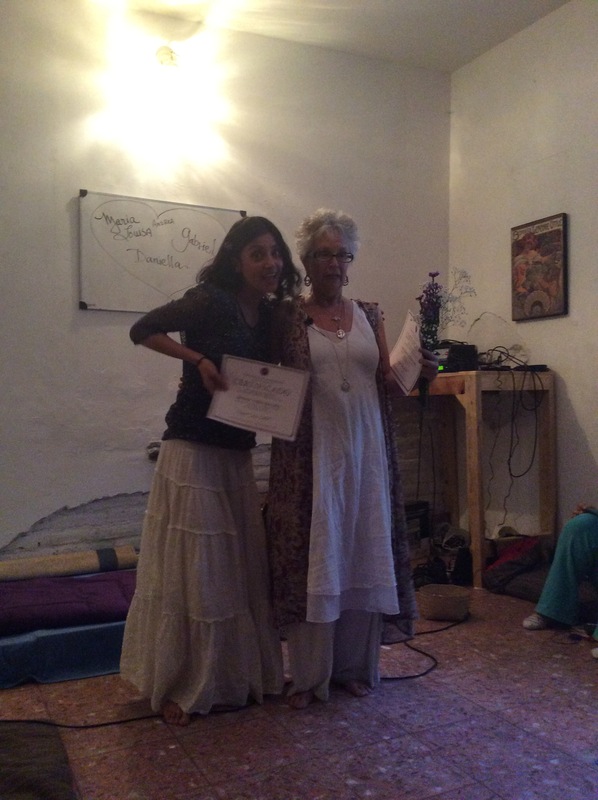 The journey was amazing…and this is where I thank people for their many kindnesses….Iliana, an amazing doula, educator, counselor, mother, midwife…whom I met at a Conference in Chiapas many years ago…was instrumental in my decision to come to Mexico. 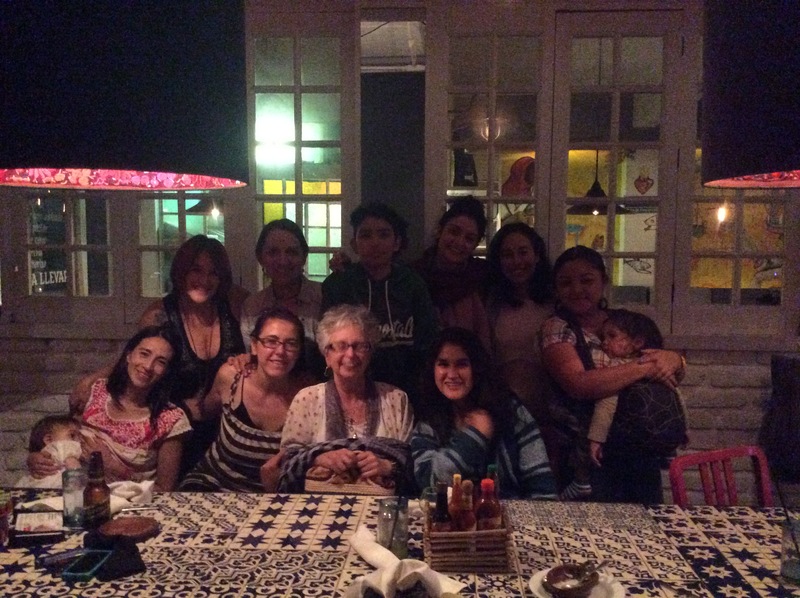 Also, Hannah, wonderful midwife and birth activist, happily apprenticing in Mexico City…and Matrona Midwifery Graduate…was insistent for us to meet again . 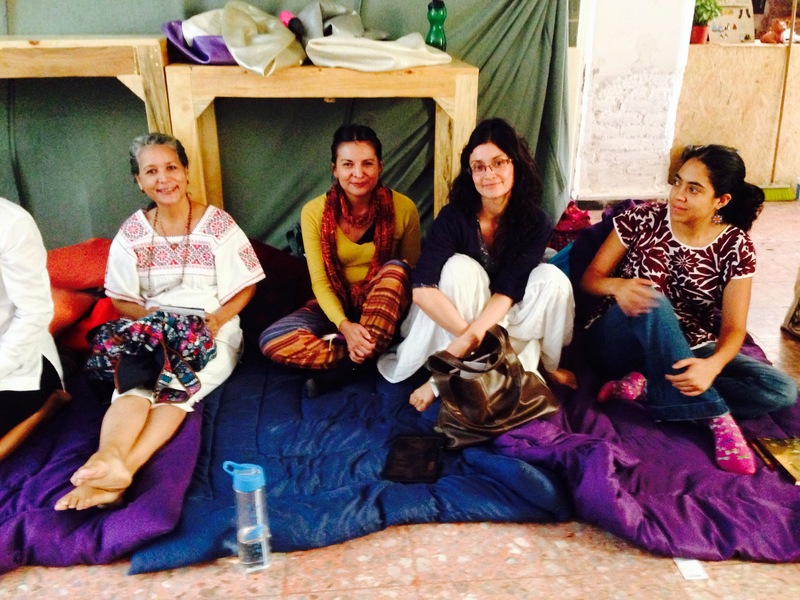 And, my dear Itzel, whom I met in Queratero, some years ago…incredible caregiver, doula, mother of two, organizer…my navigator and sidekick in Mexico…showed me the most gracious hospitality of all time. Her family did likewise…Diego, Juan and Isabella. So, of course, I’m heading back to Mexico City in December for a Homeopathy Intensive (December 3 – 6) Homeopathy for Practice in the Childbearing Continuum…with a little skydiving trip on the side. 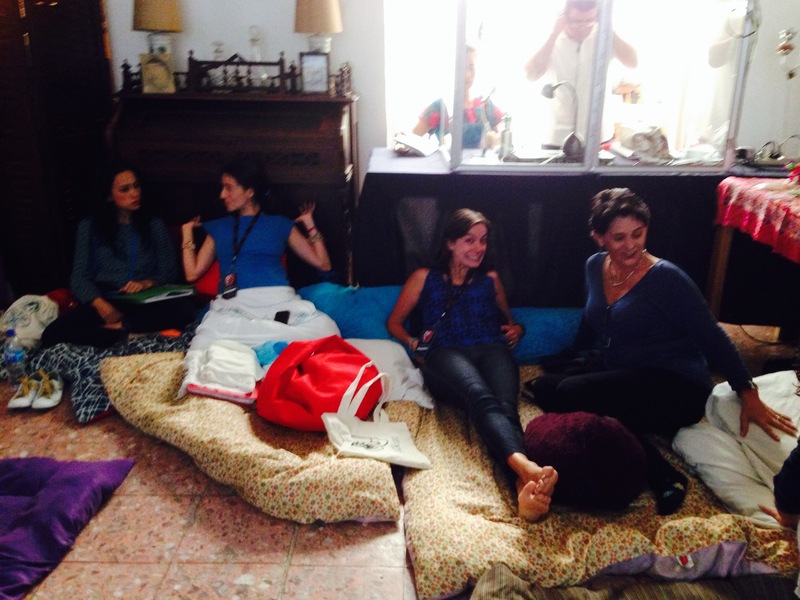 And again, I mention Evelyn…extraordinary organizer, mother, doula caregiver, teacher…Gracias por todo. 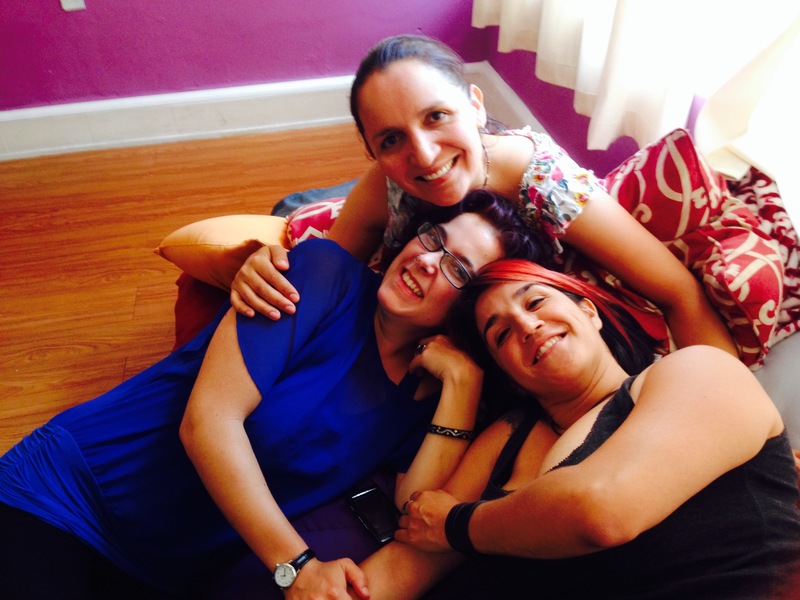 Mexico has some new Holistic Doulas!! And notice the Archangel on the wall. 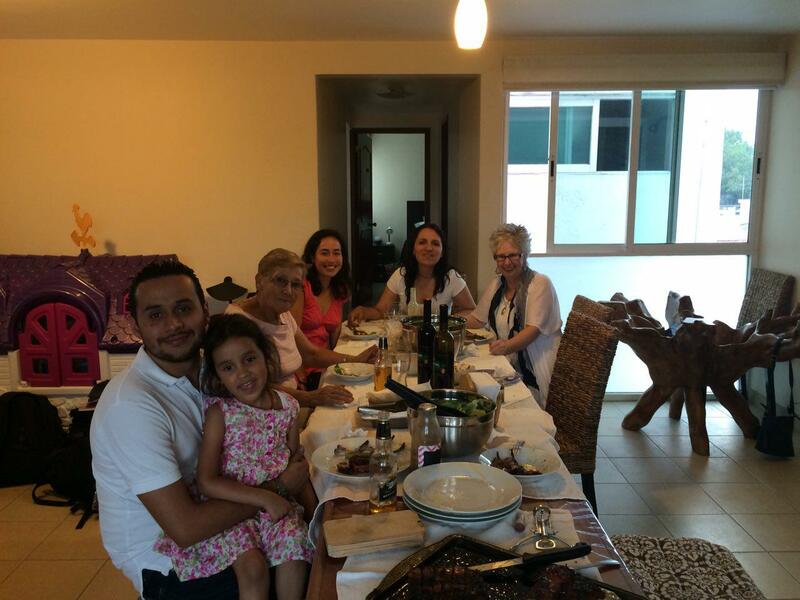 Dinner at Itzel’s…with Diego cooking! Top-Iliana, Itzel, Juan, Roxana, Anastacia and Evelyn with Damian! And a big thank you to all the amazing women, and Raul, who attended these six days and brought me coffee, translated my english, fed me, gifted me, loved me and transported me to altered states! Also, a shout out to two dear friends in Mexico…Claudia Bravo from Queretaro and Christina de la Cruz at Casa Colibri in San Cristobel. Without the friendship of these two women none of the above would have happened.